Common Sense, described by Lynn herself as a "clear base with copper and pink shimmer", is exactly that, a mixture of copper and pink hex and square glitters with holographic and purple microglitters. To showcase the full color spectrum of Common Sense, I decided to layer it over China Glaze Fifth Avenue, a muted rose creme that complements Common Sense perfectly. 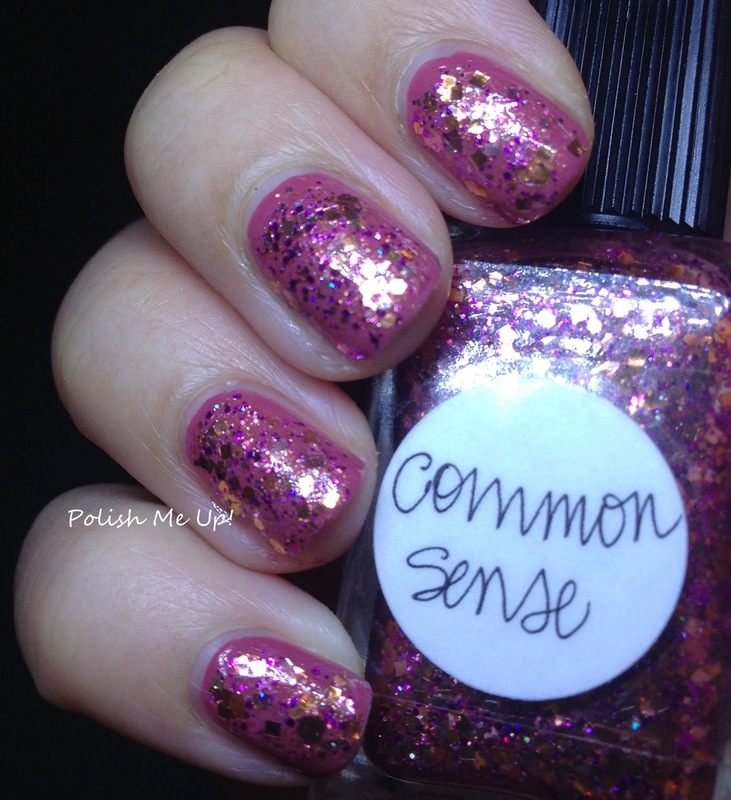 The copper glitters twinkle like the autumn leaves in Fall, making Common Sense THE polish to wear now. Love this! It's one of my favorites from that collection.